This is a popular, hard to find 829B Twin Beam Power 100W RF transmitter tube. It has an indirectly heated cathode wich operates from 12 or 24 Volts. 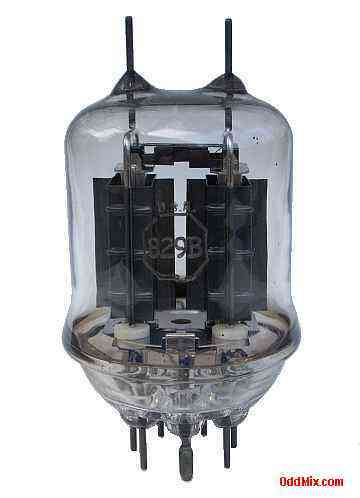 This tube makes a good AF (Audio Frequency) or RF (Radio Frequency), oscillator, modulator or amplifier. This tubes is often the choice for symmetrical (push-pull) high power amplifiers and amateur or commercial short wave transmitter output stages.